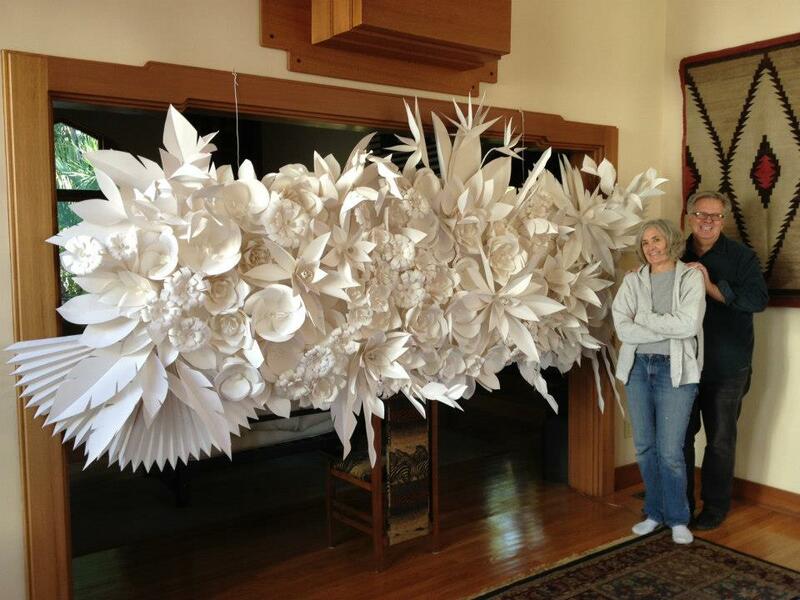 This 12-foot wall hanging was commissioned for a wedding in Bel Aire this month. It took about 6-4 weeks to complete and was quite the ordeal to assemble! But we are very pleased with the results and are excited to install at the wedding venue this Friday. Stay tuned for more pictures!